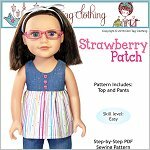 Go strawberry picking in this fun outfit! Play around with different color fabrics and prints for a bright summer. 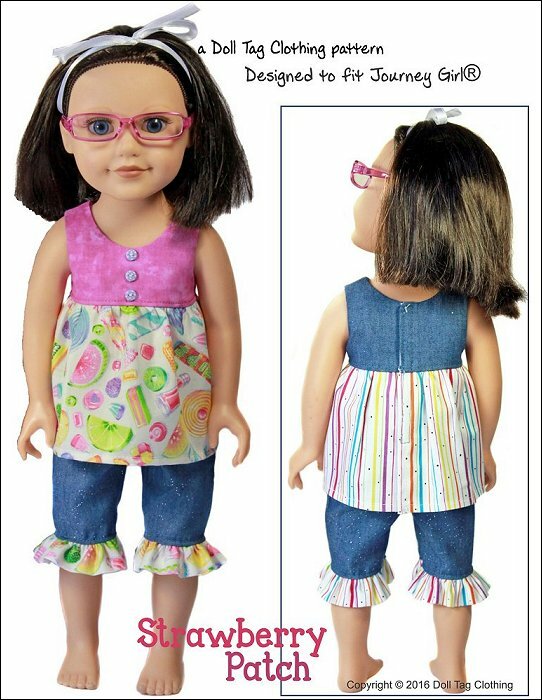 The outfit includes a top with Velcro closure in the back and 3/4" pants with a cute ruffle cuff. Materials: Light weight woven fabrics like quilt cotton, cotton and shirting. 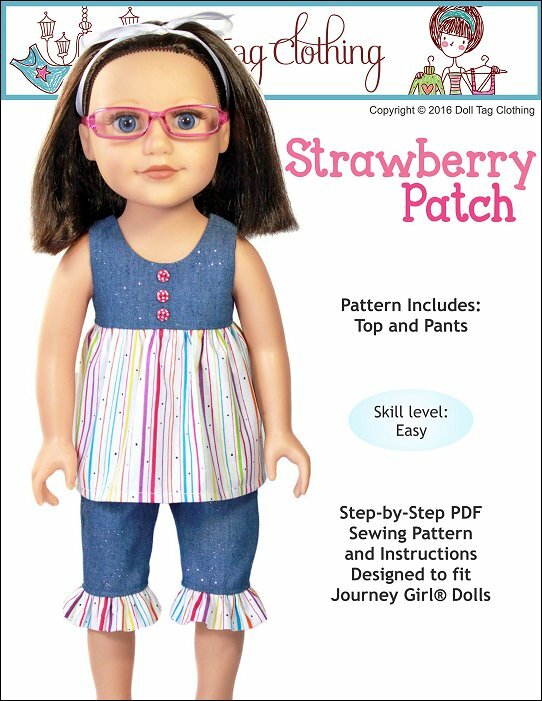 Strawberry Patch - Journey Girls comes with the following format(s) and is an instantly download after checking out.